I don't think this naan is necessarily traditional, but it sure is tasty! It is surprisingly light and fluffy for being almost all whole wheat! I adapted the recipe from this one I found on the King Arthur Flour site. I added more whole grain flour, extra sesame seeds, and thought some minced garlic would be a nice upgrade. I also adapted it for soaking, which makes it even more nutritious because it allows your body to absorb more of the nutrients found in the whole grains. I'm going to try a sourdough version next, which is even healthier than a bread made with store-bought yeast. But my starter needs a little lovin' before I can attempt that! --You can use traditional whole wheat flour instead of the white whole wheat, but they will probably be a bit heavier and darker. --Feel free to increase the sesame seeds and garlic to taste. Gently warm the yogurt and ¼ c. whey. Whisk in the melted butter. Add to mixing bowl with whole wheat flour. Allow to soak in warm place 7-24 hours. After soaking time, gently warm the remaining ¼ c. whey, and dissolve yeast in it. (If you have instant yeast, you can add the liquid and yeast directly to the mixing bowl without dissolving first.) Add it to the soaked mixture along with the egg. Whisk together white flour, salt, baking powder, and sesame seeds. Add to soaked mixture. Add chopped garlic. Knead by hand or with dough hook of stand mixer until it is smooth and stretchy, only adding a little more white flour if necessary to keep from sticking. Put the dough into a greased bowl, cover, and set it aside to rise for about 1 1/2 hours, or until it's about doubled in bulk. We ate ours with this delicious spinach dhal. We have a tradition of eating lentils after a holiday or any time we feel we need a little cleansing. Steven said as we were eating this dhal, “This might be our new cleansing meal!” We at the leftover naan as pizza: spread with sauce, topped with sausage, mushrooms, olives, and cheese, and baked until hot and melty. It made a delicious and easy meal! 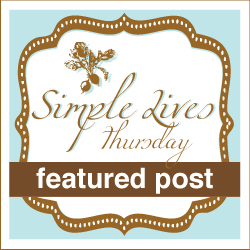 This is part of Real Food Wednesday, Pennywise Platter Thursday, and Simple Lives Thursday. ooooh, I LOVE NAAN bread! 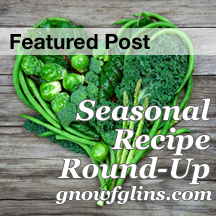 Have you ever tried with sourdough starter? I am bookmarking this! Thanks for sharing! Jen - I haven't tried it with sourdough yet but next time I plan to! Stealthy Mom - I used whey that I had drained from kefir. You could also use whey from yogurt. It needs to be a "live" whey - not one that has been heated in the cheesemaking process. Hope that helps! Ahhh. The whey is the culture... We make our own yogurt, too so have whey to use there. I am so glad you did not mean the powdered whey from GNC! Yum! I need to make these soon! These are SO GOOD, Joanna! I made them up this morning to go with dinner tonight and just had to try one while they were warm. I didn't have any whey, so I just used 1 1/2 c. yogurt and proofed the yeast in warm water. Thank you for the recipe! 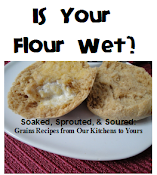 I just found your blog and love your soaked bread recipes! I'm trying your oatmeal honey bread today... So excited to have homemade bread again! It's been too long! One question about your naan, is it possible to not use whey? I don't ever have it on hand, but I use plain yogurt frequently. Do you think it would work if I were to just use yogurt?